All of us need to apply for personal and official purposes. In case we need leave then we need to apply for leave and similarly, we need to apply for a driving license, building a house and various other needs. We either get an approval or a disapproval for the same. Disapproval letters are letters written to inform that the request has not been approved. 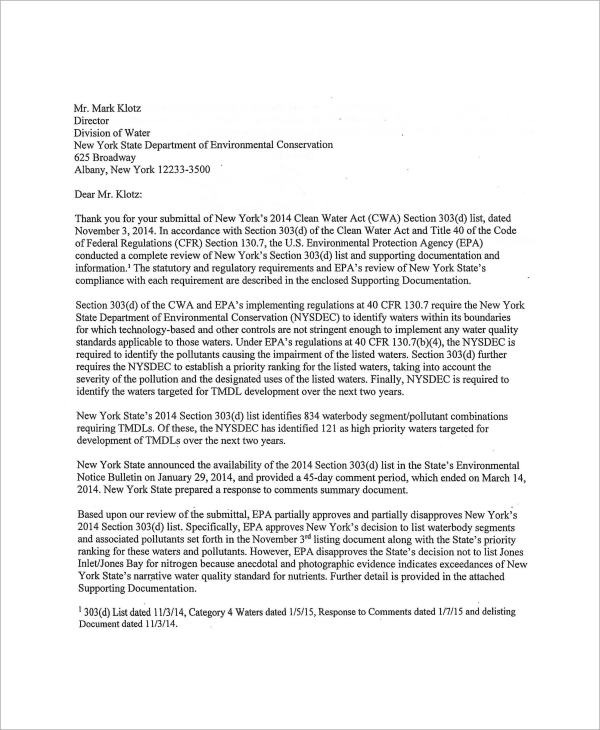 The reason for the disapproval will also be mentioned in the letter. 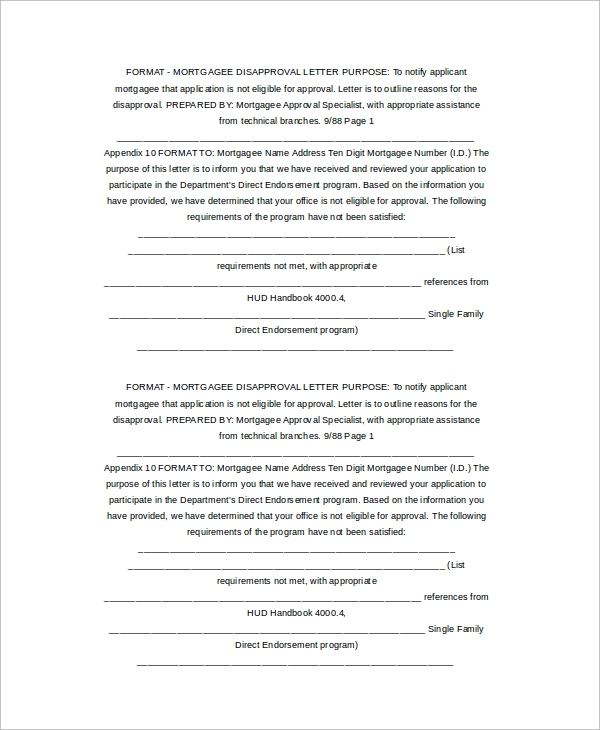 Disapproval letters can have an attorney review if it is mentioned in the letter. You may also like Rejection Letters. Everyone needs leaves for personal reasons and emergency. 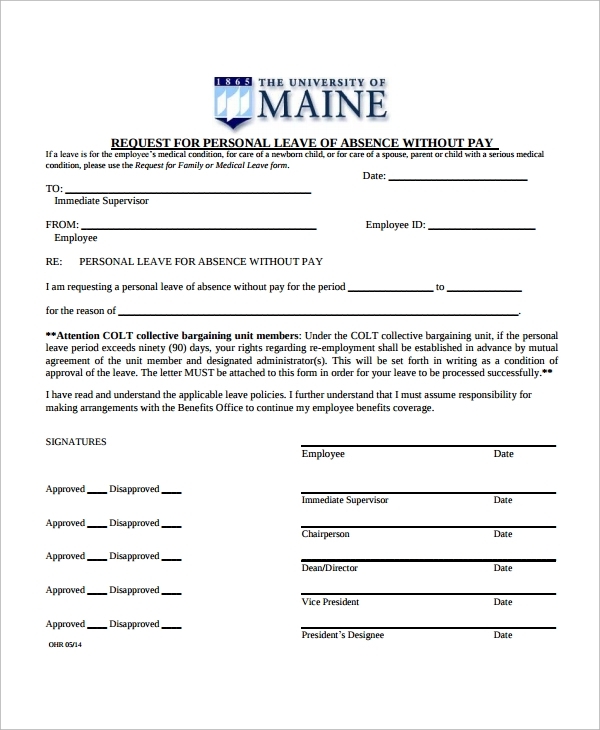 Normally, in a planned scenario, leave needs to be requested and approved by your immediate manager. The manager has the right to disapprove the leave based on certain criteria like a project which needs to finish or lack of resources. The manager needs to write a leave disapproval letter for the same. Some leave letters have the disapproval option in it and the comment for the same. 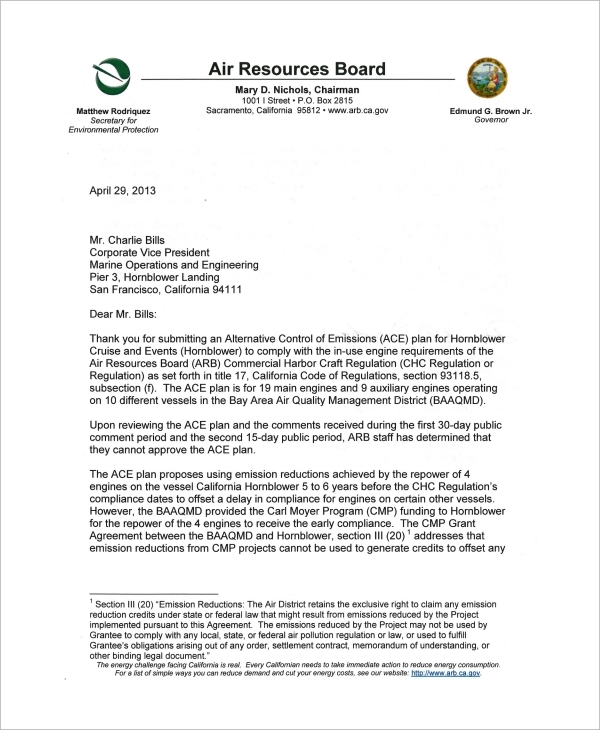 A sample disapproval letter is for reference. 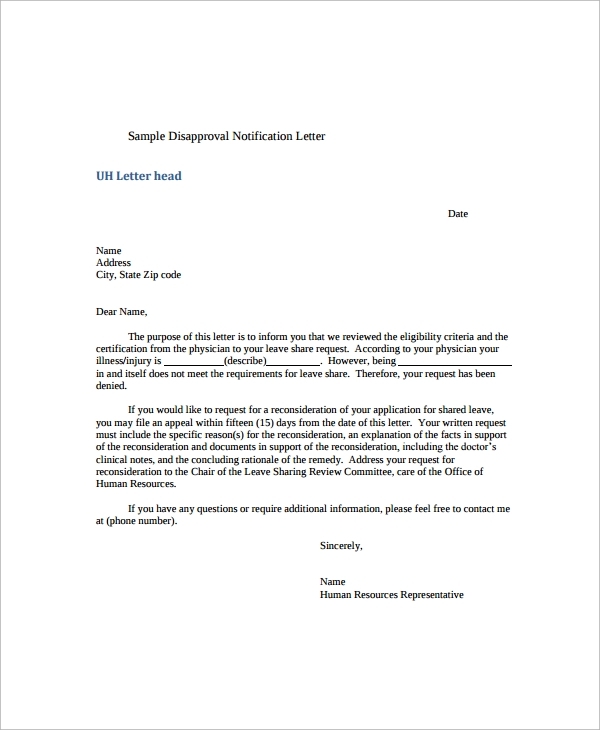 If one needs to make a disapproval letter then they can refer to the sample disapproval letter and create a disapproval letter. These type of letters are also found along with word processor software like Word. They are available on the internet in Microsft Word document formats and also Adobe pdf formats. Any construction project or project which has an impact on the environment requires the environment agency to verify the same and approve the project before it can start off. The disapproval is communicated in a written form and is called as Environment Agency Disapproval Letter. Disapproval Letters are written to deny the request of people working in an organization or a person availing some service. It helps to have a formal written communication to the employees. The employee or person has a clear idea why the request was not approved and he can take action to resolve the same. 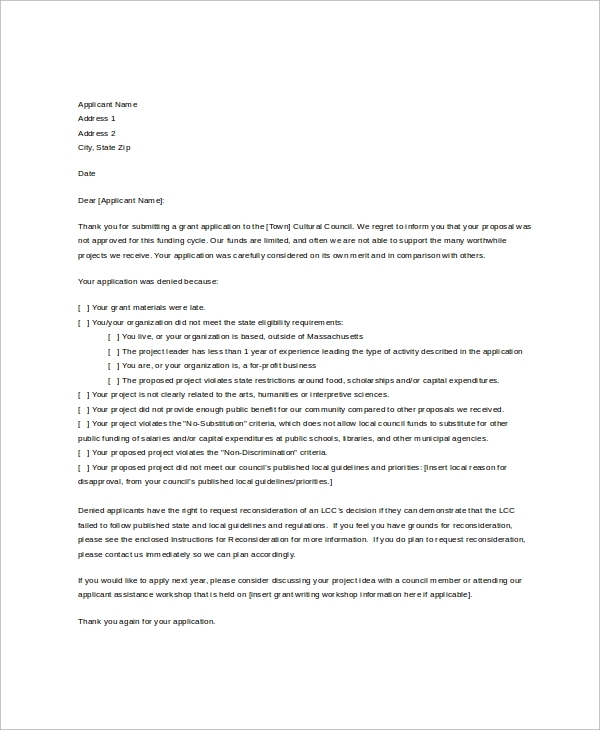 Since it is a documented letter we can take it to the attorney for review and the attorney will help us in a case of legal issues. Templates are available along with word processors like Word. There are free disapproval templates available on the internet. We can download the same and use it. We can customize the same and put the content which is relevant for our organization. A disapproval letter should be on a letter head. It should be addressed to the person along with his name and address. It should address the person and then have the format or content for disapproval for the request he has made. It should give an opportunity and time for the person to respond back or claim for the approval. It should have the contacts of the person writing the letter. You can also see Job Rejection Letters. 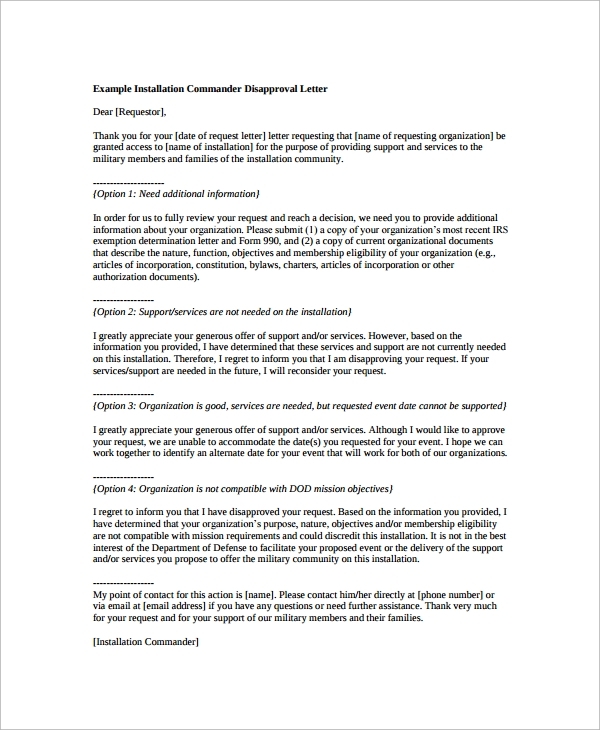 We have different types of disapproval letter available for download. It is available in word document format and also in pdf documents. In case you need it in any other format please contact us and we will be happy to provide the same. You can download the templates and use it for your needs.